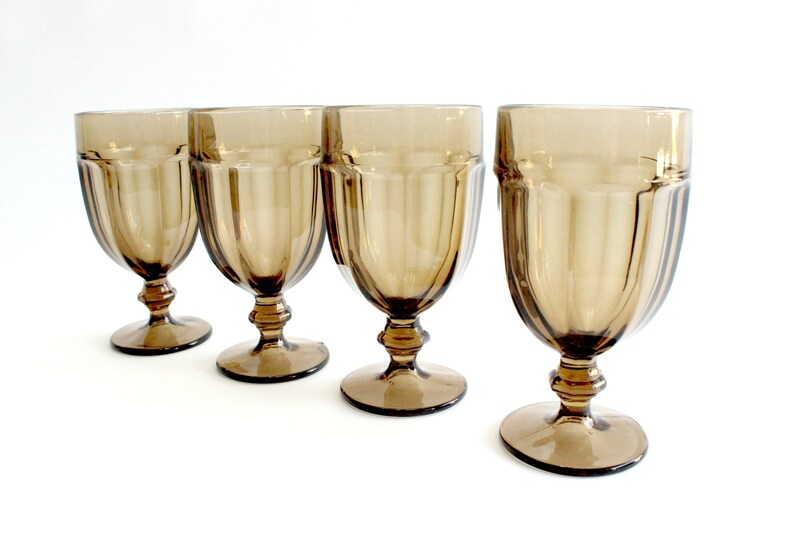 Set of 4 - Large glass water goblets. Vintage drinking glasses with a pedestal style base. Light smokey brown in color. Perfect for serving iced tea! Vintage/used condition. Some scratches can be seen near the top of one glass. Glasses measure 3.5 inches wide and 7 inches tall.